Hey you guys! It's time to bring some summery tones to your makeup. Today I looked up some yellow eyeshadow looks to inspire your makeup style this month. 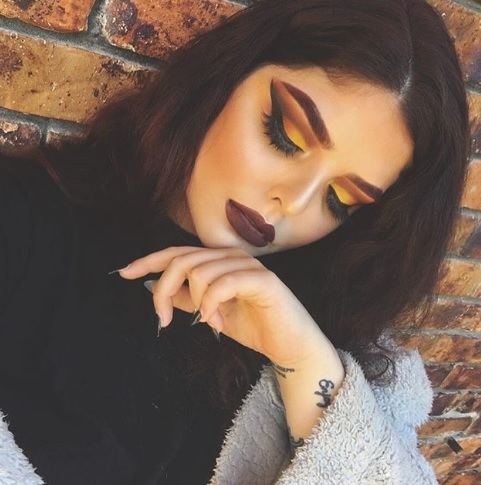 These makeup lovers are bringing it with these gorgeous photos. So let's check out these yellow eyeshadow looks! Don't forget to share the love with these Instagrammers! Like their pictures and follow them for more of their beautiful makeup ideas. unit constructed & customized by me using @myhairbeautyllc deep wave bundles & frontal! Use my code “solshe” for 15% off! I hope you guys liked these makeup photos and I hope that they inspire you to try out the yellow eyeshadow trend!